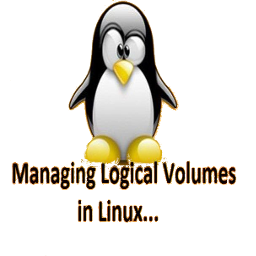 In this article, I’ll show you how to increase the size of a LVM logical volume on Linux systems (RPM Family “Redhat / CentOS / Scientific Linux” and Debian Family “Debian / Ubuntu” and other families ). As a system administrator, you will face this scenario many times and you must know how to increase the size of an existing LVM logical volume. increase the size of the filesystem to fill the block device. Here’s we cover the first step only. The method for the second step will depend on the type of filesystem (and in some cases there will be no practicable method). See below for further information. Suppose that /dev/vg0/mimastech is a logical volume of size 80GB. You wish to increase its size by 40GB to 120GB. You should not at this stage expect to see any increase in the amount of usable space within whatever filesystem located on the logical volume, for example, as reported by the df command: it is only the size of the underlying block device that has been changed. Increase the size of an ext2, ext3 or ext4 filesystem. Some filesystems cannot be extended, either because their design makes this impracticable or because the necessary software has not been written. In that case your only option is to move the files somewhere else, then recreate the filesystem, then move the files back. 1. We can use lvresize as an Alternative to lvextend. The difference is that lvextend can only increase the size of a volume, whereas lvresize can increase or reduce it. This makes lvresize more powerful but more dangerous. If you accidentally reduce the size of a volume without first reducing the size of the filesystem contained within it then the filesystem is likely to be damaged irreparably. For scenarios similar to the one described here, lvextend is recommended because mistakes of this type are not then possible. In this article, we have explained how to to reduce the size of a LVM logical volume on Linux systems by using both lvreduce and lvresize. Actually, it’s too rare for any systems administrator to reduce a logical volume “for me I always increase the size of a logical volumes”. You MUST backup your existing data first before reducing the size of your logical volumes .